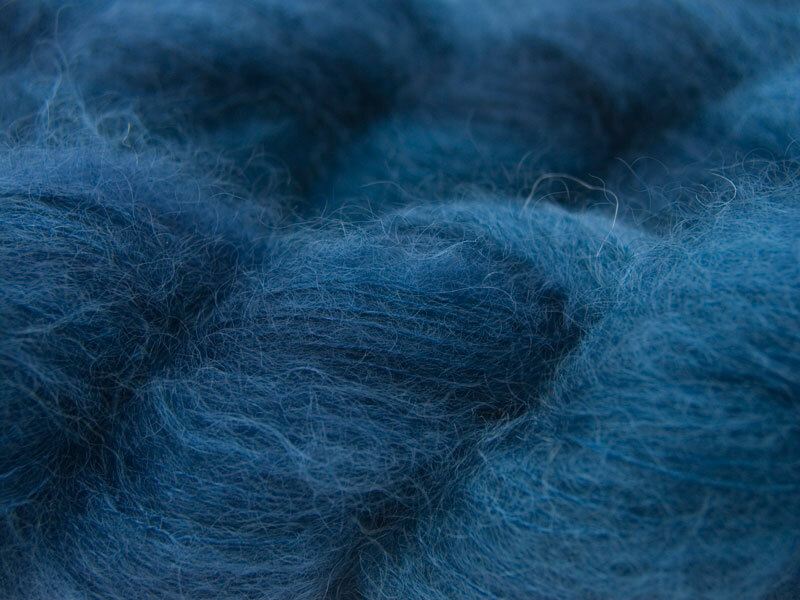 A rich, smoky dark blue. 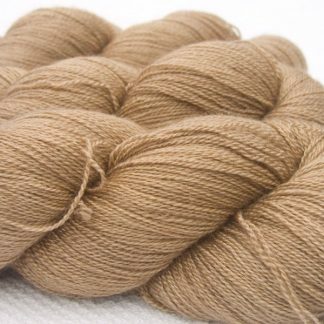 A superb kidsilk (70% superfine kid mohair and 30% silk) laceweight yarn. Purchase this product now and earn 171 Reward Points! 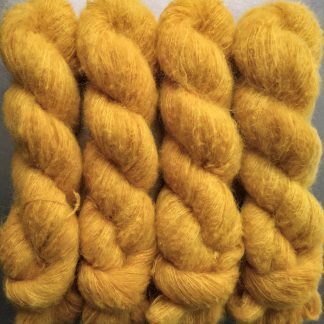 A superb kidsilk (70% superfine kid mohair and 30% silk) laceweight yarn. 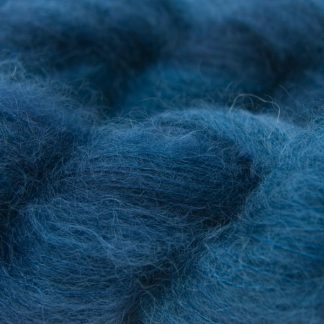 Gwen Lace is beautifully soft, with rich, bright colours with great depth. Delicate, gauzy, and yet surprisingly strong, each 50 gram skein is approximately 420 metres of yarn. 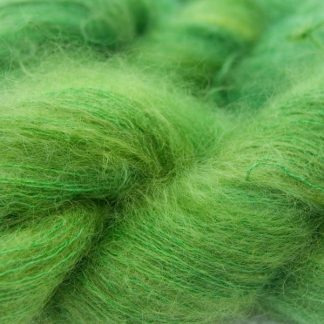 Depending on your pattern, you can bump your needle size up to 5mm or 6mm, and it’ll do a medium sized lace shawl with ease.